There is an old African proverb that says “The spirit of a freedom warrior will never die in the enduring life of the village, yet that valued spirit will be passed on to future generations.” Julian Bond was a freedom fighter. He was a gallant leader-warrior for freedom, justice and equality. And his spirit will never die. The National Newspaper Publishers Association (NNPA) family pauses to mourn the passing of civil rights leader Julian Bond. But we also know that it is important to highlight those lasting lessons from Bond’s legacy that apply to today’s struggle for freedom. Brother Bond was a personal friend and colleague in the Civil Rights Movement during the past 50 or more years. He was not only a skillful and articulate orator, Bond was also a great writer not unlike W.E. B DuBois and James Baldwin. Julian was a penetrating columnist for the NNPA as he use his pen to stir the consciousness of millions of people about the plight of Black America and others who cried out for equal justice. Bond was one of the early leaders and cofounders of the Student Nonviolent Coordinating Committee (SNCC) and worked tirelessly to lead young African American student leaders across the nation to the forefront of the civil rights movement. He was a Morehouse College student activist who helped ignite the Atlanta Student Movement. SNCC successfully shaped how Dr. Martin Luther King, Jr. and the Southern Christian Leadership Conference (SCLC) saw the value of African American college students in the vanguard of the freedom movement. “I tell young people to prepare themselves as best they can for a world that grows more challenging every day – get the best education they can and couple that education with real-life experience in social justice work,” said Bond, the son of a famous educator, Horace Mann Bond. 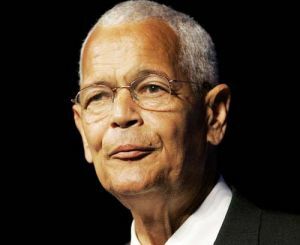 The question for today’s generation of African American youth is: What can be learned from Julian Bond’s living legacy and applied to the Black Lives Matter movement? The importance of having structure, stated principles, and organization were central to Bond’s sense of youth leadership development. SNCC was militant and outspoken, but SNCC was well-structured. It was not a spontaneous loosely organized student run organization. One of the reasons why Bond and SNCC were effective in the 1960s is because of their internal discipline and national organizational structure. Of course, today with the Internet and social media being the preferred means of communication among young leaders today in the Black Lives Matter movement, one challenge is how to build a sustainable student and youth led movement for justice with an effective structure and infrastructure. I am confident and admire the progress that the Black Lives Matters movement has already achieved. Learning from the past helps to avoid difficulties of the past. We will all strive to keep the living spirit of Julian Bond’s legacy alive in our current and continuing struggle for justice, equality and empowerment. May his valued and respected spirit be passed on to future generations of freedom fighters.